Microsoft has asked the U.S. government to recognize that its search warrants should end at the country’s borders, reflecting growing concern that surveillance by the U.S. National Security Agency could impact business abroad for tech companies. The demand for reform comes close to the anniversary of the first revelations of NSA snooping by its former contractor Edward Snowden. “The U.S. Government needs to address important unfinished business to reduce the technology trust deficit it has created,” Microsoft’s General Counsel Brad Smith wrote in a post on Wednesday. He said Microsoft was concerned about government attempts to use search warrants to force companies to turn over contents of communications of non-U.S. customers that are stored exclusively outside the country. “It’s now apparent that the government intercepted data in transit across the Internet and hacked links between company data centers,” wrote Smith, who added that one of the implications of the surveillance is hesitation around the world over the adoption of technologies like cloud computing. The U.S. tech industry has repeatedly cautioned the government about the implications of its surveillance on its business, particularly after allegations by Snowden that the NSA had access in real-time to user content on servers of the Internet companies, and was also tapping into communications links between data centers of Yahoo and Google. Cisco Systems’ CEO John Chambers wrote in May to U.S. President Barack Obama, asking for his intervention so that U.S technology sales were not hit by a loss of trust from customers abroad because of reports of NSA surveillance. Chambers’ letter followed reports that the NSA physically intercepted network equipment to plant surveillance tools before repackaging the devices with a factory seal and sending the products to international customers. In December, eight top technology companies including Microsoft, Google, Facebook and Yahoo asked for a reform of government surveillance laws and practices worldwide, and called on the U.S. to take the lead. The tech companies’ coalition, called Reform Government Surveillance, rejected the USA Freedom Act, which was passed in May by the U.S. House of Representatives. The bill was passed with considerable dilutions, including vagueness on the specific search term for accessing phone metadata records, which could lead to the continued collection of bulk data by the NSA. The tech coalition said it could not support the bill as currently drafted. While Microsoft has never received an order related to bulk collection of Internet data, it believes the USA Freedom Act should be strengthened to prohibit more clearly any such orders in the future, Smith wrote. Civil rights groups and companies are hoping the House bill could be amended by the U.S. Senate to include tighter controls on surveillance. In the wake of criticism of various NSA programs, Obama promised in January reform of the programs, including the bulk collection of telephone records. The president also proposed creating the position of a privacy advocate in the secret Foreign Intelligence Surveillance Court who would argue in cases involving permission for accessing personal data. Currently, only U.S. agencies seeking surveillance orders appear before the court. “There remains a fundamental truth about legal disputes: a judge who hears only one side of a case is less likely to render a just result,” wrote Smith, who also demanded that the government commit not to hack data centers and cables and continue to increase transparency. The stake for Internet companies in the surveillance debate appeared to grow when China attacked Google and Apple this week as a potential cybersecurity threats to Chinese users. 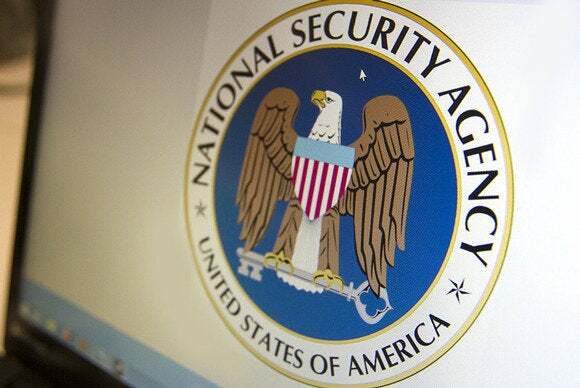 Other major tech companies, such as Yahoo, Cisco, Microsoft and Facebook, were required by the NSA to transfer their users’ information, reported the state-controlled People’s Daily, quoting cybersecurity experts.